3 Tips to Keep Your Kitchen Clean Every Day - E-Cloth Inc. The Holidays are nearly over and January is coming. Most likely you’re left with a messy and cluttered home. And if you had company, your kitchen has probably seen better, cleaner days. No one wants to start the New Year than with a home or kitchen you’re stressed out about. 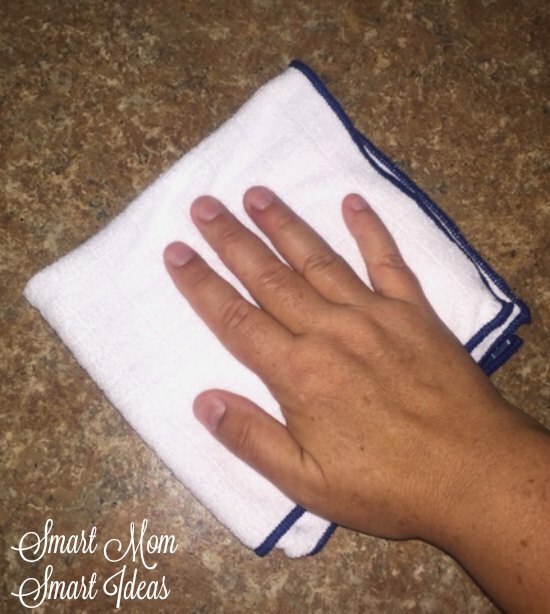 Several months ago, we partnered with Rachel at Smart Mom Smart Ideas who sampled a few of our kitchen cleaning products and put together some really simple ideas on how you can keep your kitchen clean every single day. Keep reading below to find out what these easy steps are. Does it always seem like someone is in the kitchen at your house? It doesn’t matter if we just finished dinner, it always seems like I will hear one of my kids in the kitchen browsing the pantry or just hanging around. 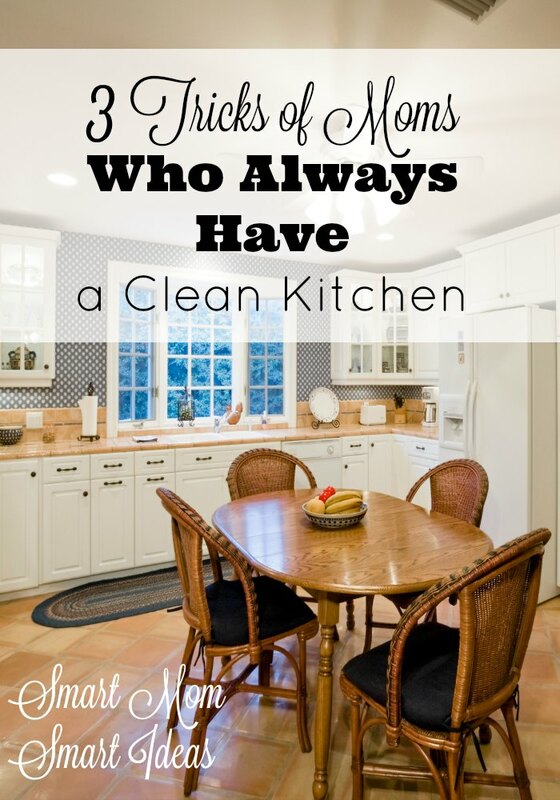 Because someone is always is in the kitchen, it’s always a challenge to keep a clean kitchen at our house. What about you? I will confess one of my pet peeves is having a messy kitchen. I really don’t like dirty dishes on the counter or in the sink, and I can’t stand wet and sticky counter tops. It just drives me nuts to put my hand on the counter into something sticky. Yuck! The solution is to keep a clean kitchen. You guessed this one right? You can’t have a clean kitchen if you have sink full of dirty dishes. The best way to manage dirty dishes is wash them after each meal (don’t let them accumulate all day). 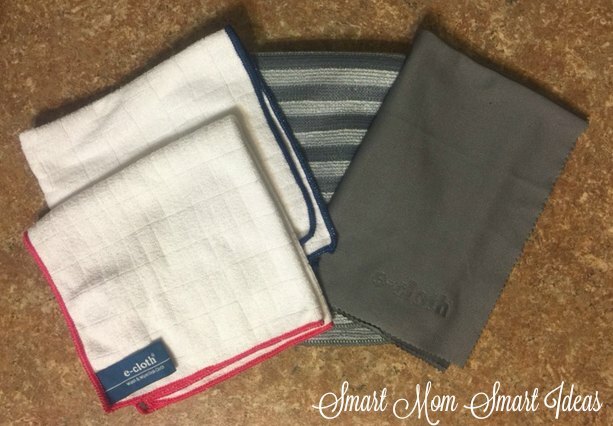 I have found the E-cloth Wash & Wipe Dish cloths are great for cleaning when you have a few dishes to wash or the dishwasher is just too full. Grab your E-cloth and you will be done in no time. If you don’t like to clean with chemicals and detergents, E-cloth works great with just water. The refrigerator door is always sticky from little fingers. Wipe down all your appliances with the E-cloth Stainless Steel pack. The pack has 2 cloths. One for cleaning and one for polishing which is great for making your stainless steel appliances shiny. Next, wipe down the counters. When the syrup from breakfast is sticky on the counter, the E-cloth Wash & Wipe cloth is also perfect for wiping down your counters and it removes 99% of the bacteria with just water. This step is the hard part. Training your children to put their dirty dishes in the dishwasher as soon as they finish eating or to just wash them fast. Of course, they can use the Wash & Wipe cloth too. Teaching your children will take many, many reminders, but your patience and diligence will pay off. Don’t give up on them. It’s part of teaching them to become responsible grown-ups. Now, that I can keep the kitchen clean, I have to work on keeping the counters clear of clutter. You can keep your kitchen clean with these tips: don’t let the dirty dishes pile up, always wipe down the counters and appliances and get your children involved.